Christine's Cards and Crafts: First Post Of The Year For Crafty Time - "Make It Sparkle"
First Post Of The Year For Crafty Time - "Make It Sparkle"
Happy New Year to you all! I hope everybody had a lovely Christmas and New Year - if you celebrate it. I'm getting old I'm afraid and was in my bed. Best place to be. 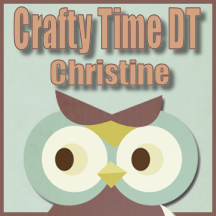 This is my DT card for Crafty Time . As you can see from the title our challenge is to make it sparkle. What could be easier than that? 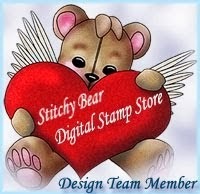 Please pop over to the blog and check out the cards from my teamies. backing papers - LOTV "Pastel Dreams"
I sprayed the beautiful crochet flower, (which was the perfect colour!) with glue and then drenched it with glitter before adding a jewelled brad to the centre. It looks much nicer in real life. Thank you Wendy!! 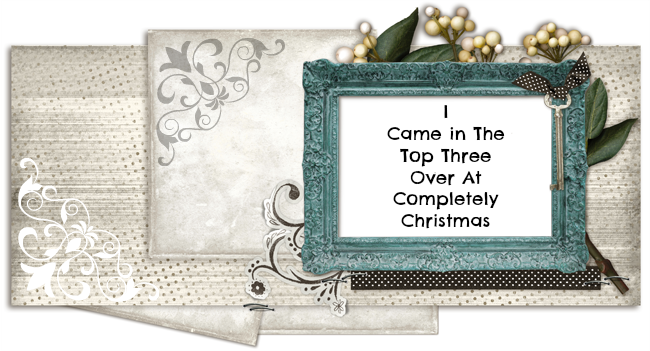 Our sponsor for this challenge is Morgan's Art World and the winner will get three digi images so we would love you to join us for this challenge. Hope you are all well and keeping dry and warm. My heart goes out to you if you have been affected by this dreadful weather. When I was up north with my sister I drove to my nephew who lives in a little hamlet near Whitby. The roads were very badly flooded and my heart was in my mouth driving through the floods. Fortunately there was another route home, albeit further in distance, because I would not have wanted to attempt that in the dark, especially since it had continued to rain all that afternoon. Happy New Year Christine to you and John. Why have you been in your bed, have you been ill? If so: all the best! We've seen all the troubles in the north of the UK and I feel soo sorry for the people over there. We know the area very well. Your card is amazing. A very nice start of a new creative year! 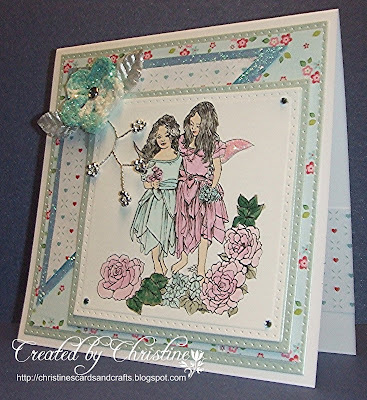 A gorgeous girly card Christine, so pretty. 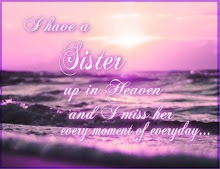 Love your beautiful card the image is amazing. A beautiful card. Happy New Year to you and yours. Happy New Year Christine! Hope it's a happy and healthy year for you and your family! 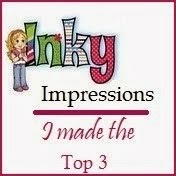 Can't wait until I can get back crafting again! A very belated Happy New Year to you Christine. Love your card, so, so pretty. This looks so pretty! What a great idea to sray the flower and add the gliter. 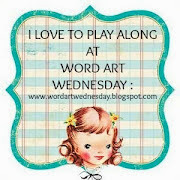 I will have to remember that idea as I have lots of crochet flowers and this would update them. Love the pretty look of yours. The image is so pretty too! Very pretty card and excellent idea to glitter your crochet flower. Glad you came to no harm ooop north. Really feel for the poor folk that have been flooded several times.